The advance of fall at Lambeau Field never fails to signify two things: The Packers aiming anew for another Super Bowl win and a one-weekend apparition of ghosts, ghouls and goblins alike on the stadium grounds. 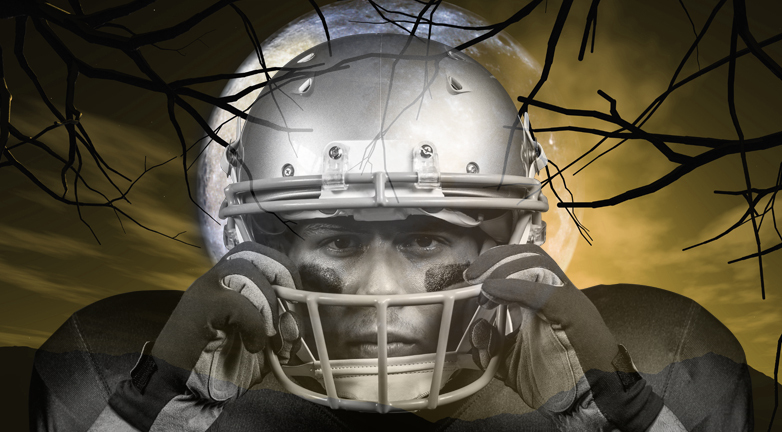 The Green Bay Packers’ Spooktacular rose from the haunted graveyard of the Atrium on Saturday, October 6. The annual Halloween-themed event has just enough fright to be engaging for the whole family, and all of the entertainment – including music, magic, storytelling and crafting – is always FREE. Mini-Wolfmen and Medusas were corralled in front of the many Halloween scenes found at Spooktacular for the perfect social-media snap, and the Packers welcomed the Center for Childhood Safety and its trick-or-treating tips to keep all the little banshees shrieking safely this Halloween season. Of course, memories at Lambeau Field don’t end once Dracula has retired for the day and Frankenstein has retreated back to his slab in the lab. This time of year offers ample opportunities to take the family to see the Green and Gold. After Spooktacular, the remainder of the Packers season sees the team playing on the Frozen Tundra five more times. Event USA has the tickets, game packages and tailgate parties to elevate your family’s fall from simply fun to Favre-esque. With 28 years of experience selling to fans right in the heart of the Green Bay area, Event USA encourages your family to shop and compare your game day options. Don’t get blitzed by online exchanges and out-of-state companies that greatly inflate ticket prices over face value. Event USA has a longstanding track record of better selection, lower prices and tickets that are 100% guaranteed to be genuine. Spend less time worrying about your purchase and more time making memories at Lambeau Field. Trust Event USA to be your ticket to Titletown! If your family attended the Packers’ Spooktacular event, we encourage you to share your photos on the Event USA Facebook Page.